Air101: Concorde Room gets a revamp at Terminal Five. Concorde Room gets a revamp at Terminal Five. British Airways Revamps Concorde Room. British Airways has revamped its flagship Concorde Room at Heathrow Terminal 5, taking inspiration from the very best of British Design. 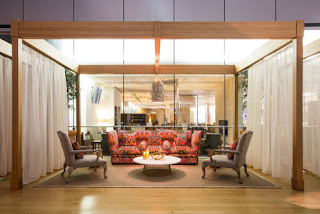 The refurbishment to the airline’s exclusive lounge included re-upholstering iconic pieces of furniture, and adding new feature pieces to the room, all of which are illuminated by hand-blown glass lighting with bone linen shades and ochre silk linings. 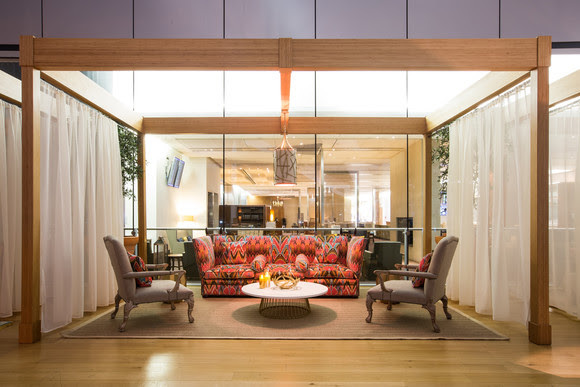 The terrace, which is so popular with travellers thanks to its position overlooking the runway, features luxurious sofas and new elegant loungers.